Why buy expensive desktop or all-in-one PC when you have a fraction of their use in mind? 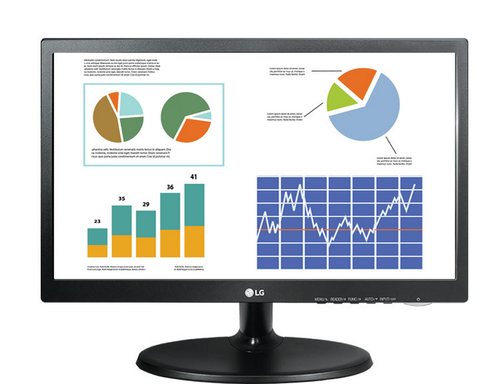 LG PC-on Monitor is a new concept of integrating PC and its peripherals, containing all the core functions while at it. Since it has all the core components, it is cost-effective and hassle-free from purchasing peripherals separately. Enjoy the spacious work station that has mini PC mounted on the back of monitor: Desktop takes up quite some space, and it is hard to make it look neat and organized with all those wires , cables. PC-on Monitor, with its compact PC size that can snuggly be install on the back of monitor, frees up much space that once occupied by desktop. For Public Service Delivery in India every additional PC system installed is a leap towards serving more people. PC-on Monitor not only allows more systems to serve the people as it minimizes the need for space, while offering reasonable price range with combined package of PC, mouse, and keyboard. At classrooms and labs that often have space constraint, PC-on Monitor can accommodate more students. In a classroom environment PC-on Monitor can be used as the mirror of a main computer. On top of that, students will benefit from Flicker Safe and Reader Mode to give that extra comfort for their eyes.